Introducing Boba Fett and Jango Fett! -- Completed custom dialogue for Boba. 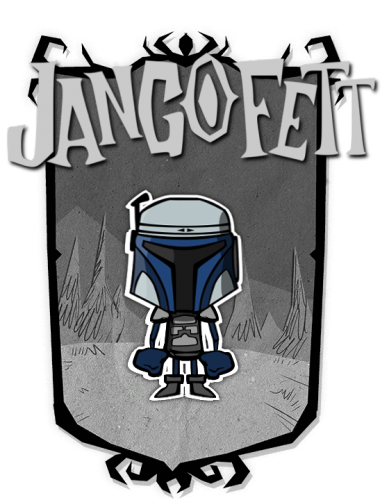 Jango is still in the works. -- Durasteel Armor - Has 10% damage absorption. -- Sometimes loses his head - He suffers from low sanity but gains sanity upon killing stuff. 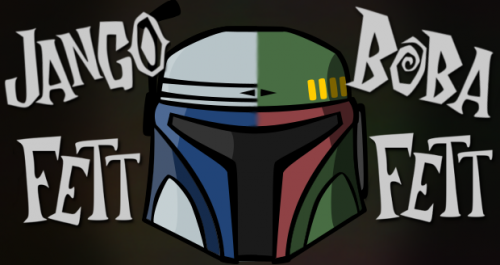 -- Has a bounty list - Because what's a bounty hunter to do without one? - Craft a Bloodied Data Chip, equip it, and activate it (right-click it) to receive new bounty missions! - Each mission has a damage multiplier reward (which will not exceed 1.7x) and a sanity refill. - [DS] If an ROG/Vanilla world is linked to a SW world, the bounties will be randomly chosen between mobs from both worlds. "Jet"-Pack - For jetting on land and such. It functions as a backpack and also lets you walk faster. Wrist Dart - Throw sleep darts from your wrist gauntlets! It has 15 shots and puts targets to sleep. WESTAR-34 Blaster Pistol - Customized just for him! This pistol has 20 shots. Each does 45 damage. Infrared Scanner Chip - Jango's low sanity can be a pain at night, so use this to hunt in the dark! It lasts 4 days and is not refuelable. Bloodied Data Chip - Equip, then right-click to receive new bounty missions! -- Duraplast Armor - Has 15% damage absorption. -- Unaltered - He inherits the same stats from Jango Fett and therefore suffers from low sanity but gains sanity upon killing stuff. Mounted Flamethrower - Throw fireballs from your wrist gauntlets! It has 15 shots and does 5 damage + fire damage. SACROS K-11 Disintegrator - "No disintegrations." This pistol has 20 shots. Each does 45 damage. 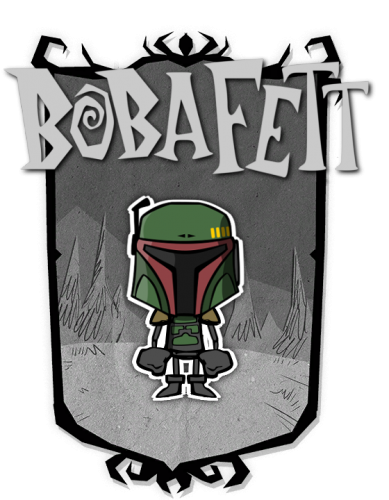 Infrared Scanner Chip - Boba's low sanity can be a pain at night, so use this to hunt in the dark! It lasts 4 days and is not refuelable. *Please report any bugs/crashes and I'll try to fix them promptly. Hope you all enjoy these and have fun! - Completely reworked the bounty system. Hello there i have a problem. When I extract the mod into the mod file it doesn´t work in the mod menu why is that ? Which game are you playing and which file are you downloading?